One of the first lessons that investors learn early on is that the news moves the market. Ultimately, any time news is released with regard to a publicly traded company, we can expect to see movement in the value of that company’s stock as a result. When the news is positive, the movement we see in the stock is positive. Adversely, negative news will generally cause negative movement. Today’s news with regard to the liver drug that ICPT is working on was incredibly positive news. As a result, we’re seeing incredibly positive movement in the value of the stock today. Yesterday, the stock climbed to $163.83 per share after a gain of $12.52 per share or 8.27% on the trading session. Those gains are continuing today. Currently (12:00), ICPT is trading at $173.00 per share after a gain of $9.17 per share or 5.60% thus far today. Moving forward, I have an overwhelmingly bullish opinion of what we can expect to see from ICPT. The reality is that the news released from the FDA was overwhelmingly positive news. 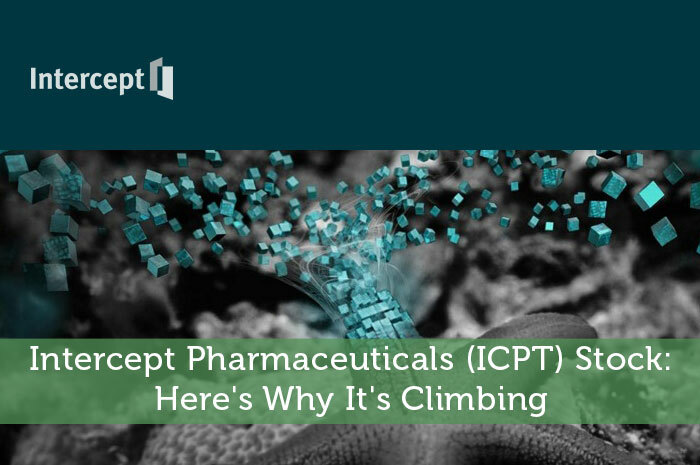 As a result of the news, I’m expecting that the liver drug the company is working on will eventually be approved, leading to another treatment in the ICPT repertoire. When we talk about Intercept, we’re talking about a company that has a long list of solid products, several products in its pipeline, a strong team and a clear plan for growth. Considering these factors, I’m expecting to see positive movement moving forward. Where do you think ICPT is headed moving forward? Let us know your opinion in the comments below!